After reading Nosa Ero Nosa of ThatNaijaBlog article on “The “Other Thing” Tecno Smartphones Doesn’t Do”, I am inspired to call on all Nigerian bloggers to use blogging as a platform for positive changes. What’s the essence of blogging if all we do is publish contents, embed ads on them and get pay checks at the end of the month, when we can use blogging as a tool or platform to bring positive changes to Nigeria? Blogging as a promotional platform can be used to build a brand’s image or promote a product. But is that all there is to blogging? How about using blogging to promote a cause? Causes that can bring good changes to a nation like ours – Nigeria? Nosa Ero Nosa rightly explained in that article how phone manufactures like Tecno is exploiting us, flooding our mobile market with sub-standard products that lacks a lot of features such as Full HD, IP57 & IP67 Certifications, 4G or even OTA etc. That reminded me of the days when Nokia exploited us, when they will only change the phone casings and fit it with same old programs and applications as their previous builds and increase the price and brand it a new name and everyone will be gunning to lay their hands on them. A day came when people realized they have been exploited and switched to other mobile brands like Tecno, but Tecno is committing same crime as Nokia did making phones with poor materials and standards. If bloggers can begin to speak out, exposing and enlightening people on things like this, I believe we can enforce a change. We can use blogging to put pressure on phone makers like Tecno, Nokia and the rest to make the changes we needed. Same can be done to telecom companies that have been exploiting us. Internet subscription in this country is so expensive and the service is nothing to write home about. It’s about time we spoke up bloggers, it’s about time we enlighten our people on what is going on. We can enforce a change; we can bring positive changes to our economy and nation in general. Get inspired like I have, use your blog as a tool/platform to help this country. Publish articles that can bring changes to things that are not done right, call for changes for things that don’t seem right, be constructive in your criticism and give suggestions/ideas of the changes you want to see. Thanks, I look forward to seeing other inspired bloggers who are ready to push for the changes we want to see. I am really trilled reading this and it will definitely make me push even harder for promoting positive change in Nigeria. Blogging is a powerful tool, it has improved the lives of citizens in the west and has equally made companies do proper research before releasing their products to the market, Nigeria can’t be an excuse neither we will be forced to accept mediocre products. We must not compromise! It’s a long journey and not meant for one man. Like you said, and I agree… Bloggers should also prioritize development of the nation through blogging. If we can develop this mindset, companies will think twice before “dumping” their products in Nigeria, thereby making abnormal profit. As big as Microsoft, they had to change their “ridiculous” DRM philosophy for the Xbox One. It all started with one blog post. When the issue was viral, gamers across the world took to twitter with the #NoDRM harshtag. Microsoft had to option than to stripe off the feature and update its policy. No company is bigger than the consumer and I sincerely hope Nigerians knows this. We deserve better treatment, we deserve total respect from international companies and one of the most effective ways to make this happen is through blogging. Thanks for the lovely article as well as the mention. Do have a nice day. You’ve just hit the nail on the head. I pray that bloggers will come to full realisation of the saying “Blog for the Passion of blogging and Not for Money”. I think i read that article by Nosa Ero sometime ago,and also published related article on my blog before then,but to my greatest surprise very few portion of Nigerian/tecno phone users realise the fact that tecno i capitalising on our ignorance. Though this post is not entirely about tecno phones,but you have succeeded in passing across a very strong message to the Nigerian bloggers and i hope we all wake and start making positive changes through our blogs. Thanks Nosa for the inspiration through your article on Tecno products. The truth is that we have been exploited a lot and we can’t continue to let these companies take such advantage of us when we can use our blogs as our voices to say what we want differently. Thanks for leaving such a wonderful comment on this post, do have an awesome weekend. Thanks Emperorneco for your awesome contribution. Someday we will get the changes we desired. Thanks for your great contribution Orhionkpaibima, i hope i can inspire other bloggers to use their blogs as a platform to exposing these unjust acts and drive the change we all desired. 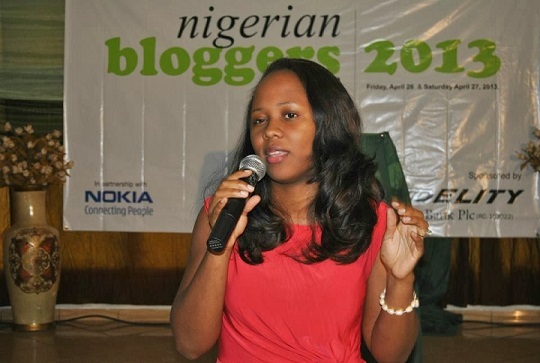 Nice one i must say, i love and agree with you, bloggers need to start blogging for change not the cash alone. hi. great i saw this post and was given the opportunity to stop by a add my idea. as it has been said already. using blogs to promote to enforce changes in an environment. nosa a friend of mine is talented in his manner of speaking. not by learning from some one. but he multiply the talents himself. i really look forward in reading more about positive motivations of environment using blogs. nice regards.Android Terms Every Android User Must Know. You raised a very important point here. Blogging should not just be about regurgitating whatever we have been spoon-fed. I believe bloggers owe a deep responsibility to our dear country. A lot of things have happened and there are a lot more exploitations going on that need to be addressed. Take the DSTV prices for instance, the monopoly of the business is not doing good to any Nigerian citizen. The prices for everything they offer if more than doubled in Nigeria compared to south Africa because they know that nobody is going to say a word about it. Other countries like the United Kingdom always look out for their citizens. In recent times, all the energy supplying companies were ordered to cut prices and they don’t care how you want to do it and that is the reason the citizens are grateful to their government. I have been waiting for a message like this,I have always thought bloggers could be crusaders of positive change,but often times,people just think they make perfect bloggers by posting gossips and breaking news that are already everywhere,that’s why I have been reluctant posting gossips on my site. She absolutely correct, I have a strong believe that majority of upcoming Nigerian bloggers needs real education on what blogging really is and the numerous benefit.